“Knaps” and “dales” are shaped by folded Dalradian Schists (metamorphosed marine sediments). Here lie lochans, long sea lochs and hills. Each is different, supporting a variety of habitats and wildlife. 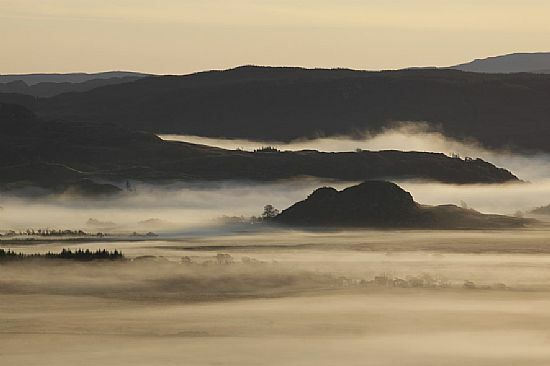 When the river that drained Loch Awe down to Loch Crinan was blocked by an ice wall during the last ice age the water burst through the Pass of Brander where today it runs to the sea 50 miles to the north. Huge gravel banks flank the old route, now a fertile glen and a vast raised bog and salt marsh, the Moine Mhor lies on the old seabed. As the ice retreated from Europe around 8000BC the first people to arrive were hunter gatherers. Little is known for certain about the time they spent here, as there are only scant traces of their activities. We now refer to them as “Mesolithic” – middle stone age – people. The Neolithic and Bronze Age descendants of these men and women are responsible for the monuments you can find all around you in this area. The linear cemetery of burial cairns in Kilmartin Glen and the standing stones are highly visible. Rock art including cup and ring marks, axe heads and other carvings are found in places where people may have met or at viewpoints and access ways. There were definitely many more monuments than exist today as they would have been removed to make way for ploughing or to provide building materials over successive centuries. Many are also not visible above ground. The ritual and burial monuments may have been placed at special places in the landscape and this might help explain why they were reused and reworked for generations. Burial cists were placed in the stone circle at Temple Wood and at Ballymeanoch Henge. These monuments were recognised as holding great spiritual significance and power. 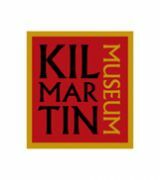 There are over 100 rock art sites within six miles of Kilmartin. 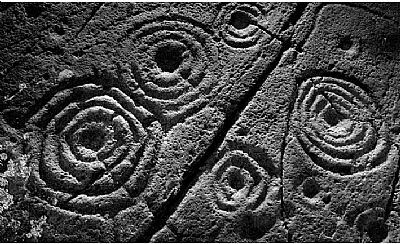 Cup and ring marks have occurred from at least 4,000BC. They are the most enigmatic of the symbols found here. Their purpose remains unclear. 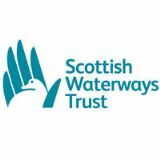 Suggestions include meeting places, boundary markers, religious symbols, maps or even graffiti! Treasures traded through the warm seas of the Bronze Age (2200 to 800BC) sometimes turn up buried in a tomb. A Norse arm ring was found in the Sound of Jura. The travelling people among us, who still know how to make a shelter from bent hazel and willow, connect themselves with these distant travellers – the last link to the Diaspora of the melting ice sheet. The narrows between Loch Gilp and Loch Crinan were a highway for millennia before the Crinan Canal linked the Clyde to the Hebrides. The landscape became studded with hill forts and duns as the harsher climate and times of the Iron Age (400BC to 0AD) forced people into conflict. 30 of these structures overlook the landscape from the hills around Kilmartin. Life was now controlled by the warlords of tribal kingdoms. Other people chose to create defensible dwellings known as crannogs; artificial islands built in the lochs hereabouts and easily defended. By 500AD some of the forts and duns may have been deserted but the hill that rises out of Moine Mhor, Dunadd became an important centre for trade and a political power-base for the Scotti tribe who later gave their name to modern Scotland. It was a massive fortress with 10 metre thick walls and a centre of learning, art and the law. Finds at this site, including metalwork and luxury goods, attest to its significance, as does the fine carving of a wild boar and an inscription in ogham (possibly a form of Early Irish). Two other carvings, a basin and footprint, may have been used during the inauguration of the tribe's kings. In 690AD Adomnan described the investiture of King Aedan by St Columba in 574AD at a site thought to be Dunadd. A cave with an alter, water font and cross carved out of the rock is attributed to Columba near Achahoish, and there are many other sites of significance to the Christian religion that bear his name in the area. St Columba established a monastery on Iona and from here Christianity was taken by Columban monks throughout the land that was about to become Scotland. 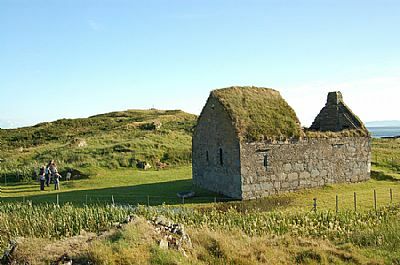 This new religion that resonated outwards from Iona similarly left its mark upon the landscape. Kilmartin church and the chapels at Kilmory and Keills both hold extensive collections of mediaeval graveslabs with depictions of 14th and 15th century armoured figures alongside swords, crosses, coats of arms and Birlinns. Kilmory Chapel, beautifully situated on the shores of Loch Sween also contains the mediaeval Macmillan's Cross. 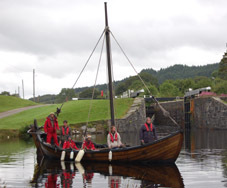 Soon the leather boats used by Columba were to be trounced by the masterful use of clinker employed by invading Norsemen like the legendary Prince Breackan who is said to have drowned in the whirlpool (Corryvreckan) that took his name. By adding a rudder the longships were superceded by the Birlinn and the four hundred year stronghold of the Norse was over. Somerled, Norseman and Gael, through the power of diplomacy and the Birlinn ruled half of Scotland from a building on Islay with no fortifications. The Lords of the Isles were European magnates on a par with the kings of Scotland. As the descendents of Fergus Mor and Alpin moved the centre of power (and if the stories are to be believed the legendary Stone of Destiny) from Dunadd, to Scone, to Edinburgh and finally to London the lands and seas of Dalriada lost influence. The support of the Gael for a Stuart monarchy shortly after the national economic collapse caused by the Darrian Project pushed the area into social and economic poverty. The clan system was broken, lands sold off and people virtually enslaved. The woods provided fuel for iron furnaces and the sea provided kelp for gun powder. These products and the local men were destined for the long wars in Europe. As always, the cattle were driven from the islands to the ancient tryst at Kilmichael but from there they went further to Falkirk and then to London. 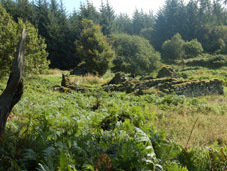 Agricultural and industrial revolution brought change to the Moine Mhor. The peat was dug and the land improved, sheep brought in and people moved to the New World. Glasgow, the second city of the world’s largest empire was sending out steam ships through the Crinan Canal. The Comet, the pioneer of steam, lies wrecked off Craignish Point. This was the fast route from Glasgow to Inverness. The seaways remained critical through two world wars. Today the British Nuclear Fleet lies twenty miles away tucked into the Firth of Clyde. Agriculture is giving way to forestry and industry to Internet. But still small boats go out to fish, brambles are gathered in September and people find their way home by moonlight.